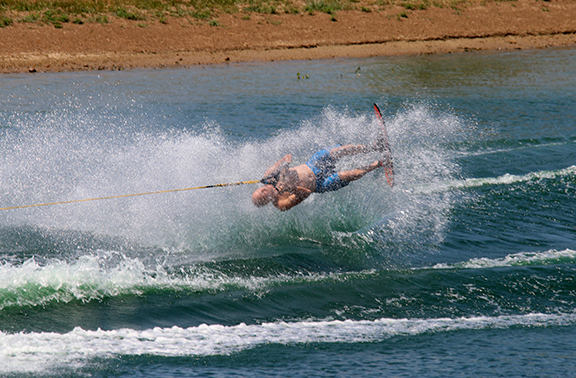 The Illinois State Championships, hosted by the Illinois Water Ski Federation, took place this past July 22 and 23. 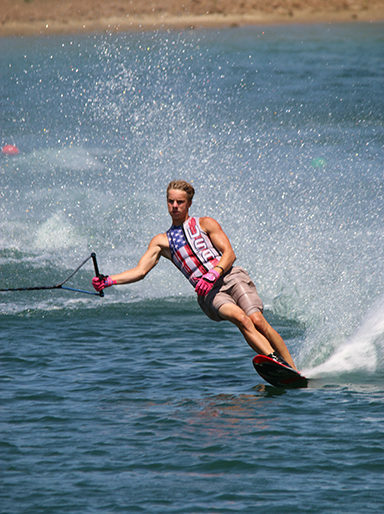 The tournament, which included categories of slalom, trick and jump, was sponsored by the Jacksonville Area Water Skiers (JAWS) and held at Lake Leutz in Jacksonville. 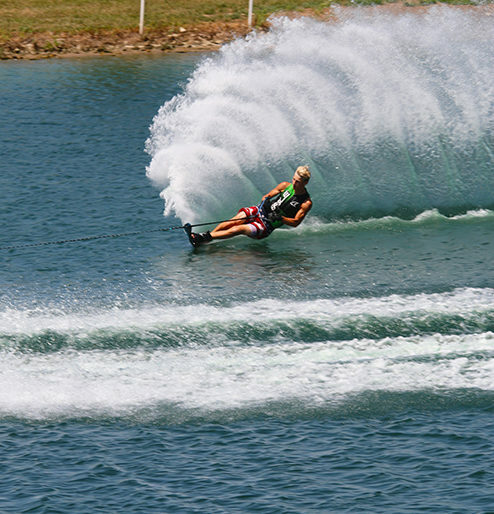 Overall, the Jacksonville Area Water Skiers team placed first in the weekend’s tournament. Slalom results: Jaret Zoellner of Jacksonville, age 12, placed second in the B2 Slalom division. Jonathan Leutz of Jacksonville, age 15, placed first in B3 Slalom. 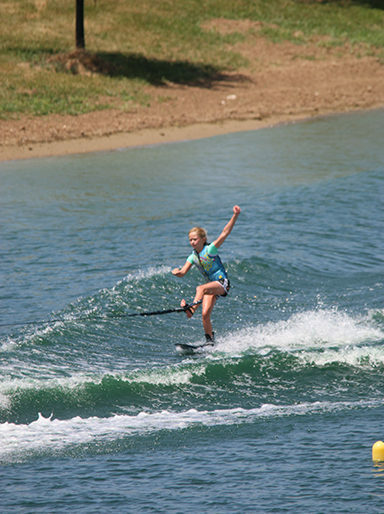 Julia Zoellner of Jacksonville, age 11, placed first in G2 Slalom. 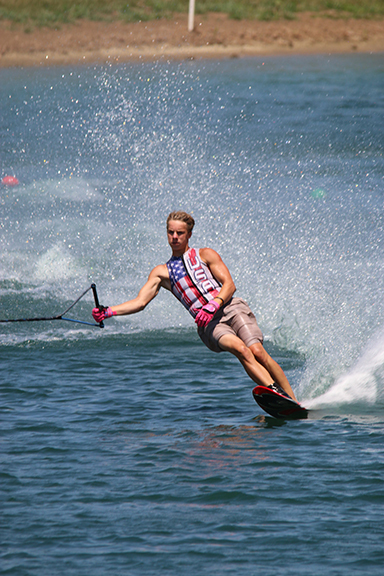 Benjamin Leutz of Jacksonville, age 18, placed first in the M1 Slalom. 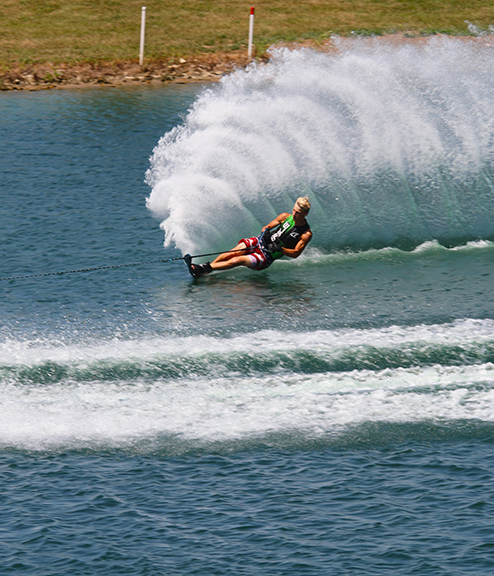 Darr Leutz, 55, of Jacksonville placed fourth in the M5 Slalom. Kelly Zoellner, 38, of Jacksonville placed first in the OW Slalom. 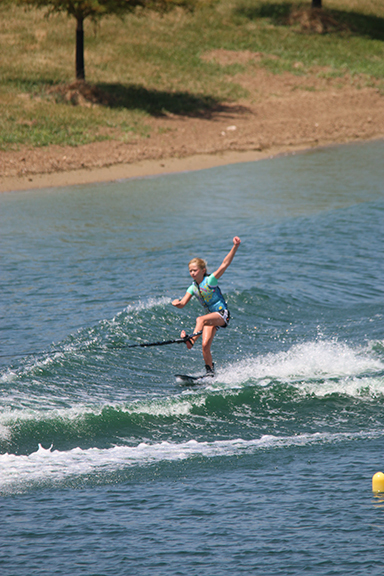 Savannah Leutz, 20, placed first in the W1 Slalom. Dawn Leutz, 47, placed first in the W4 Slalom, while Sam Isaacs of Pleasant Plains, 45, placed second. Trick results: Jaret Zoellner placed second in B2 Trick. Jonathan Leutz placed first in the B3 Trick. Julia Zoellner place first in G2 Trick. Benjamin Leutz placed first in M1 Trick. Darr Leutz placed second in M5 Trick. Kelly Zoellner placed first in OW Trick. Savannah Leutz placed first in W1 Trick. Jump results: Jaret Zoellner placed second in B2 Jump, hitting a speed of 45 KPH. Jonathan Leutz placed third in B3 Jump at 147 feet. Julia Zoellner placed first in G2 Jump at 38 feet and 42 KPH. Benjamin Leutz placed first in M1 Jump, hitting 57 KPH and 185 feet. Troy Zoellner, 45, placed first in M4 Jump, reaching 54 KPH and 115 feet. Kelly Zoellner placed first in OW Jump at 124 feet and 51 KPH. Savannah Leutz placed second in W1 Jump, hitting 54 KPH and 94 feet. Jaret Zoellner placed second in B2 Overall with 1,777.4 points. Jonathan Leutz placed first in B3 Overall with 2,714.4 points. Julia Zoellner placed first in G2 Overall with 1,664.2 points. Benjamin Leutz placed first in M1 Overall with 2,880.2 points. Kelly Zoellner placed first in OW Overall with 2,672.8 points. Savannah Leutz placed first in W1 Overall with 2,557.4 points. Combined team standings resulted in JAWS with the highest ending total points of 11,108.7. This first place win was broken into 3,496.7 (slalom), 3,144.2 (trick) and 4,467.8 (jump). Find out more about JAWS and the Illinois Water Ski Federation on Facebook. 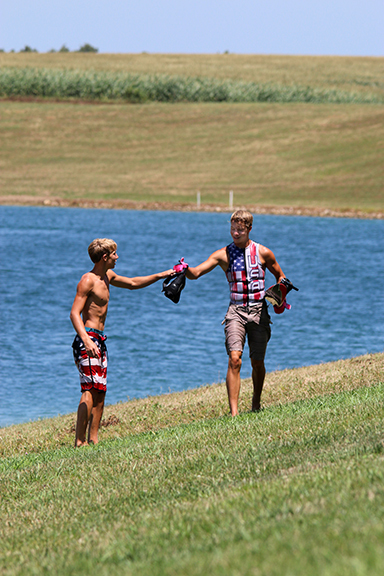 Information regarding placement and scoring was taken from usawaterski.org at http://www.usawaterski.org/rankings/ScoreBks/17M058CS.HTM.